Code to Get Values from db using PHP and show into Table format Rows-Columns one by one. 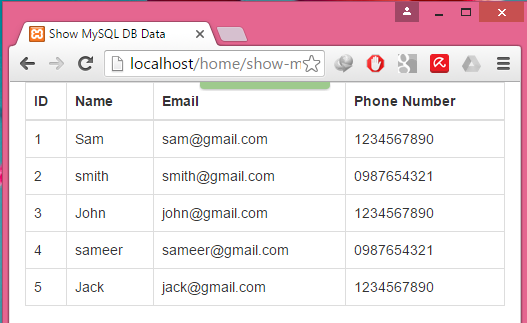 Table format is one of the most popular and easy way to represent any data on user screen in PHP. 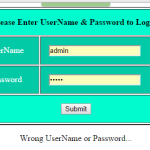 Table is a part of HTML code and in this tutorial we are using table with PHP code. So it will automatically create the rows and columns one by one and set values inside them individually. This type of table is completely filled up with dynamic data directly coming from MySQL db server and one more thing we are using Bootstrap classes to create this table because it will automatically make our table format responsive. 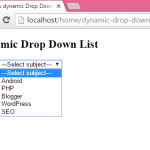 So here is the complete step by step tutorial for PHP Retrieve data from MySQL database and Display in HTML Bootstrap table. 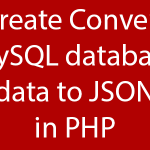 PHP Retrieve data from MySQL database and Display in HTML Bootstrap table. 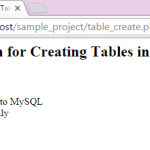 Click here to download PHP Retrieve data from MySQL database and Display in HTML Bootstrap table project with source code and MySQL db file included. Hi Juned, thanks for such great tutorials. These are very very useful for newbies like me. I am searching something like, I want to make a news website where items are listed in rows (keeping in mind a mobile view), where in each news row, there will be an image in the left corner and short text in right part. 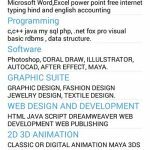 These images and related text will be stored in mysql database. Can you guide me? Because I am zero in php. 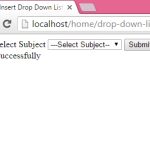 Yes Saket you can do it by storing images url in MySQL database and access them with your record row . Read my this image upload tutorial this will surely help you : https://www.android-examples.com/php-image-upload-store-into-mysql-db-show-all-images-script/ . Use this tutorial with combination of existing tutorial . Hi Juned. 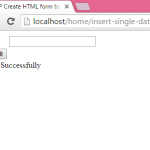 How can I display the database in html form by calling PHP in server using AJAX? I know AJAX can do this, but I don’t know the steps.. Thank you. The following error appeared when i try to execute the program. Warning: mysql_fetch_array() expects parameter 1 to be resource, boolean given in C:\xampp\htdocs\show-mysql-data.php on line 34. May I know is there anything i can change? Bryan the code is working perfectly i have recently tried.